Building a great business starts with a solid foundation. A business like Extra Space Storage isn’t built overnight. Thanks to our visionary leaders and teams in our corporate headquarters, we’ve grown to become the second-largest entity in self-storage in the United States and recently joined the S&P 500. We use creative planning and innovative technology to achieve goals, including expanding our presence in the self-storage and real estate markets. The foundation of our business lies in beautiful Salt Lake City, where you’ll work in a collaborative environment with engaged team members and charismatic leaders. Our focus every day is continuous improvement for our company, our customers, and ourselves. We are seeking motivated professionals in many areas, including accounting, marketing, real estate, administration, tech, and finance. 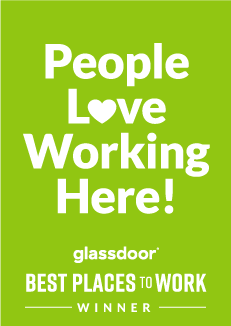 If you’re ready to come to work with a positive attitude, support internal and external customers, and leave with the satisfaction of a job well-done, you belong here. As our business looks for new ways to lower costs and increase returns, we have shifted our focus toward technological developments. Extra Space Storage is very interested in STEM professionals who can help us improve our competitive edge. We offer great opportunities with outstanding incentives for candidates who are experienced in computer science, software development, and other areas.